A beautiful kitchen can easily look like it cost $1 million – but it doesn’t have to carry that price tag. Quality finishes and appliances are within easy reach around our region, where many locally owned design centers and retailers are ready to make your dream kitchen a reality. But designing a luxurious kitchen isn’t only about satisfying your dreams. If you’re looking to sell your home soon, a top-notch kitchen may hold a powerful attraction for potential buyers. So what makes a kitchen luxurious today? It begins with quality and aesthetics, and it continues with excellent function. If you turn left after walking into Al Grace Appliance & TV, 811 W. Riverside Blvd., you’ll notice a gleaming selection of dependable stainless-steel kitchen appliances. But as Brad Born, the store’s vice president, points out, not all refrigerator doors are what they appear. More important than aesthetics, functionality of appliances is important to remember when remodeling kitchens, says Born, because cooking is a daily activity. Performance matters to the active chef, and the Sub-Zero and Wolf brands carry a powerful reputation for quality and consistency. Born gestures toward the left side of the store. “These products last many years, and that’s not common in the appliance world anymore,” he says. As he flips through photos of past projects, it’s apparent that high-end cabinetry is all in a day’s work for John Kruschke, owner of Premier Woodwork Inc., 1522 Seventh St., Rockford. He nods at a photo of a kitchen with a curved island that has a gloss lacquer finish. Premier Woodwork specializes in cabinetry built from scratch, so customers can request anything in their imagination. One time, a client requested a built-in dog kennel in a laundry room. The transition from vision to reality is not only possible, but also enjoyable for Kruschke and his team. Kruschke has noticed that customers often inquire if island counters can be a slightly different color than the rest of the cabinetry. White cabinets with a darker-stained island are particularly popular. Cabinets can even have an exotic aesthetic, with emulations of popular European touches like rounded corners. The key to a luxurious kitchen lies in the little features, says Kayla Hauch, a designer with Benson Stone Co., 1100 11th St., Rockford. With Plato Woodwork, customers receive cabinets constructed to any specifications. Hauch opens a floor-model Plato Woodwork cabinet and pulls out an attached spice cabinet. She continues to open apothecary drawers, pull out towel racks, point out the small details in the cabinet door fronts that Plato Woodwork customized. 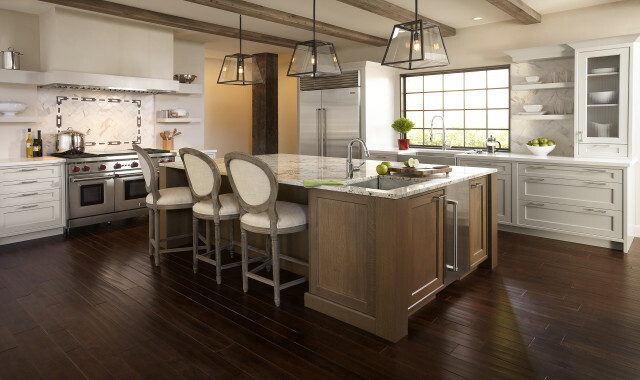 In addition to cabinetry, Benson Stone’s designers can fully remodel kitchens. Company president Andy Benson considers the store to be a one-stop-shop. “To further expand on that theme, we’re opening a lighting department this fall,” Benson says. The new showroom will contain 4,000 square feet of chandeliers, pendant lights, wall sconces, floor lamps, outdoor wall fixtures and more. “We’re excited to offer customers the full gamut of lighting,” Benson says. The team at River Valley Kitchens & Baths, 5261 Swanson Road, Roscoe, Ill., shares the philosophy that the little details make a big difference. “The kitchen is a room you spend a lot of time in, so it’s my job to make it more enjoyable,” says designer Lisa Simpson. She walks around the store and demonstrates that nearly everything in the kitchen can be available at the push of a button. Simpson presses the cabinet front, which rises to reveal a red mixer that’s ready for use. She continues throughout the store, pointing out drawers and cabinets that reveal hidden appliances and utensils, many of which are illuminated by LED lighting – a compact solution to dark cabinet interiors. As for aesthetics, Simpson recommends more decorative characteristics. She points out Cambria quartz countertops, emphasizing the brand’s use of exotic colors. She also draws attention to many decorative posts underneath countertops. Diane Feuillerat has been designing luxury kitchens for more than 30 years. As a result, the designer and owner of Kitchens by Diane, 6346 E. Riverside Blvd., Loves Park, Ill., often receives calls from previous clients who desire her expertise once again. But Feuillerat isn’t just a kitchen designer. She can also design bathrooms, libraries, family rooms and other parts of the home. Customers sometimes ask her to design extravagant bookcases that leave space for TVs, and living rooms with large built-in hutch areas. Feuillerat incorporated these brands in a recent project that involved redesigning a kitchen, pantry, laundry room and bathroom into two separate kitchens: one for cooking and another for entertaining. Feuillerat flips through photos of other recent projects. Feuillerat appreciates seeing clients who trust so much in her execution of their vision. It’s hard to miss the beautiful slab of Lumen granite when you walk into Lonnie’s Stonecrafters, 3291 S. Alpine Road, Rockford. When it comes to kitchen remodeling, Presson thinks granite countertops are the best way to make a statement. Presson leads the way to a slab of Blue Flower, one of his favorite stones. And the best way to discover what you want is with a walk through a granite showroom. Whereas some showrooms will share tiny samples of a similar stone, Lonnie’s displays the actual slabs that customers can purchase. 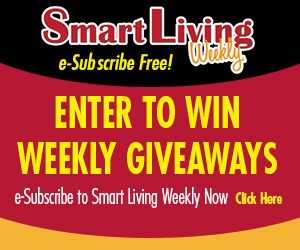 This entry was posted on Thursday, August 27th, 2015 at 12:00 pm	and is filed under Home & Garden, Top Posts. You can follow any responses to this entry through the RSS 2.0 feed. Both comments and pings are currently closed.